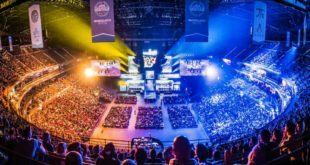 How has 2017 been for Magic Light Pictures, what are some of the biggest successes you guys have seen this year? There have been a number of highlights for us this year, but the most recent is showcasing the company and our brands at BLE for the first time. The response was tremendously positive and our giant Gruffalo a real draw for new business opportunities. March, we saw the opening of the world’s first Gruffalo theme park ride at Chessington World of Adventures Resort which has welcomed hundreds of thousands of visitors to date. Our partnership with Forestry Commission England was extended further and we launched The Gruffalo Spotter app along with new activity trails at their sites. 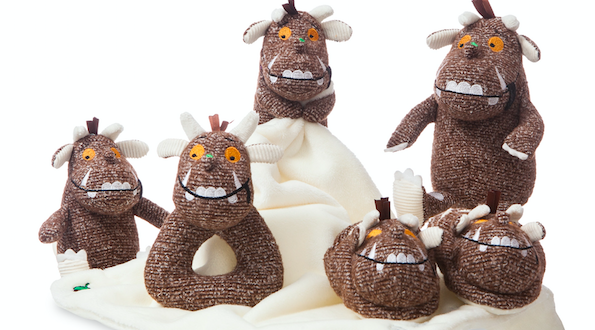 Extending our consumer product offering further, The Gruffalo Ice Tusks from Brand of Brothers hit Morrisons shelves earlier in the year and a new nursery plush collection from Aurora can now be seen at Jo Jo Maman Bébé. Following on we have our latest animation The Highway Rat premiering this Christmas on BBC One, with David Tennant leading another wonderful celebrity cast. It’s been a busy year for sure. How is the world of licensing evolving and in particular the role that book titles such as the Gruffalo have to play within it – what new doors are now open to you guys and what are the struggles? One of the many beauties of The Gruffalo and all our Julia Donaldson and Axel Scheffler properties is that they are a year-round offering. We can of course work to seasonal opportunities such as Room on the Broom at Halloween or Stick Man for Christmas, but each is as relevant throughout the calendar. Our consumer portfolio has grown strategically over the last 8 years as we have continued to expand our presence through our brand partnership programmes and best in class licensing. Retail sees these evergreen characters as established, trustworthy and delivering reliable sales. This continues to present us with new opportunities, the ability to explore new partnerships and to extend the overall brand further. But, shelf space is competitive out there and we have to be mindful that we’re always working with one book and one film for each title, so innovation is vital to ensure The Gruffalo relevant to each new toddler. 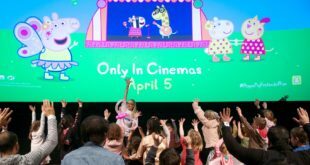 What is Magic Light Pictures bringing to the licensing space this year and beyond, what exciting new developments have you got in store? As a typically protective licensor, we have been cautious to build our wonderful portfolio on a platform of working with the right partners at the right time but The Gruffalo now has incredible awareness in a very crowded market. The Aurora nursery range launching as an extension to their beautiful Gruffalo plush range is delighting retailers in early presentations and this category will be key focus for us in the coming year. Creative brand partnerships and collaborations that are true to the brand values of our portfolio are what excite us. Chessington for example has broadened the reach of The Gruffalo further into new demographics, delivering an exciting new touchpoint in which fans can engage with the brand. We have such wonderfully rich content and much-loved characters within our portfolio and it is our job to ensure these remain favourites with our end consumers and shoppers. 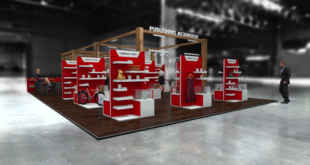 Plush and apparel remain core categories for us and it is important that every range delivers key product formats which are proven to sell and offer a variety of price points and excellent value for money. We have a reputation in delivering high quality products and by combining this approach with the natural love that fans have for the The Gruffalo, we have huge opportunities for continued growth. Experiential is a growing sector in the licensing space, have you got plans to further develop in this sector? Working with great partners such as Merlin Entertainments and the Forestry Commission for a number of years now, we’ve been very aware of how powerful a shared visitor experience can be. A new relationship we have is with the Federation of City Farms and Gardens where we’ll be running Stick Man activities in 2018. Embracing the great outdoors, getting out and about are key values for our brands and we’ll continue to build on the wonderful relationships we have in this sector. What are some of the most exciting emergences in the consumer product space e.g AR/VR technology and has Magic Light Pictures got plans to move into these space in the near future? Again, it’s great to say we’re already in this space. This spring we launched the ground-breaking Gruffalo Spotter app that has enjoyed over 370,000 downloads and reached number one in the App store chart. 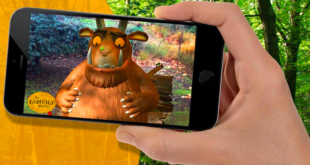 The augmented reality app enabled families to get up close and interact with their favourite Gruffalo characters at 26 Forestry Commission England sites. We’ll continue to look for innovative ideas for consumers to engage with the brand, but always ensuring they’re drawn directly back to the core publishing which is the heart of the overall programme.